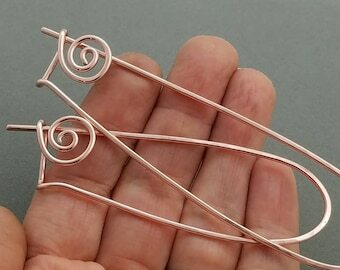 Hand forged solid sterling silver spiral cable needle. 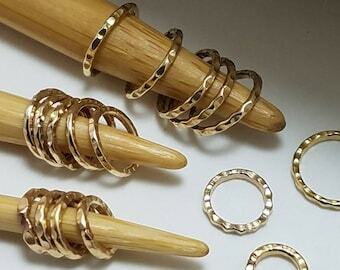 Gives you something to grip while knitting those crossover cable stitches. Featured as a Romantic Notion in Interweave Knits Summer 2017 Shakespeare Issue:The Knitter's Guide to Maker's Tools, page 4. 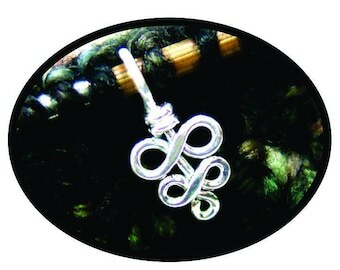 Made to order from 2mm solid sterling silver wire. 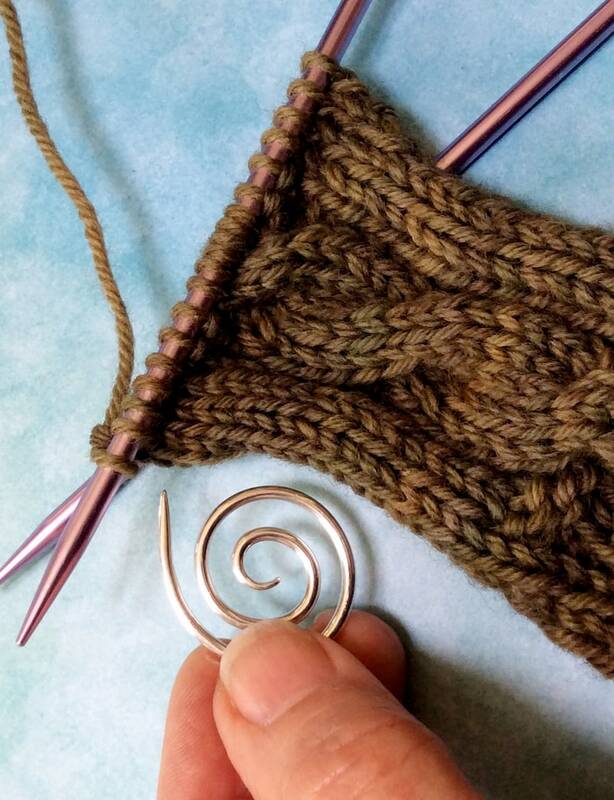 Needle shown in use with worsted weight yarn. 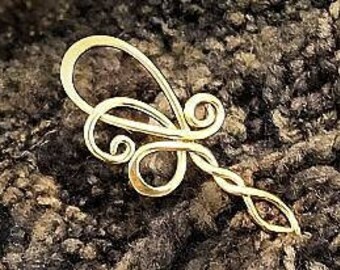 Will come to you in a small kraft gift box. 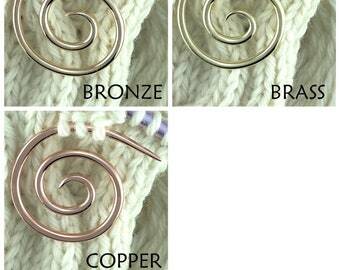 Looking for a SpindleCat Studio spiral needle in bronze, brass or copper? I own several of these now because they are wonderful tools and they make excellent bookmarks when I’m not using them to fix knitting oopses. Beautiful and sturdy. I love these so much! This is my second one, I use them all time! I highly recommend these, my favorite cable needle! Unbelievably beautiful and looking forward to using it.